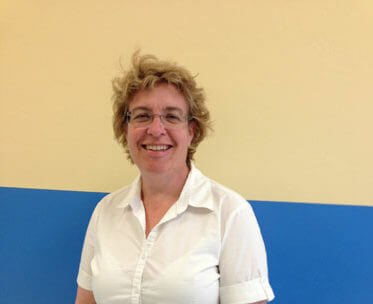 Kudos to Dianna Benson, winner of the February 2013 TVT/OfficeMax Teacher Excellence Award. Mrs. Benson is a science teacher at the Sonoran Science Academy. Mrs. Benson was nominated by two of her colleagues, who wrote in their nominations: Dianna works hard to bring relevance and reality to her science students. Her creative experiments and enduring patience is sometimes overlooked, but not by me. Dianna deserves to be recognized; and also, A visit to Dianna Benson’s environmental education room reveals an environment bursting with energy where dynamic teaching takes place. She realizes that children learn science best through hands-on experiences and through nature. With no budget and lots of fund raising she finds opportunities for field trips to power plants, and mining operations. Students even constructed and cook their lunch in a solar oven. She inspires the love of learning. Her sixth grade students put many high school students to shame because she empowers her students to reach for higher expectations. Dianna impacts lives and the world in a positive way. Congratulations, Dianna! You are an inspiration to us all.